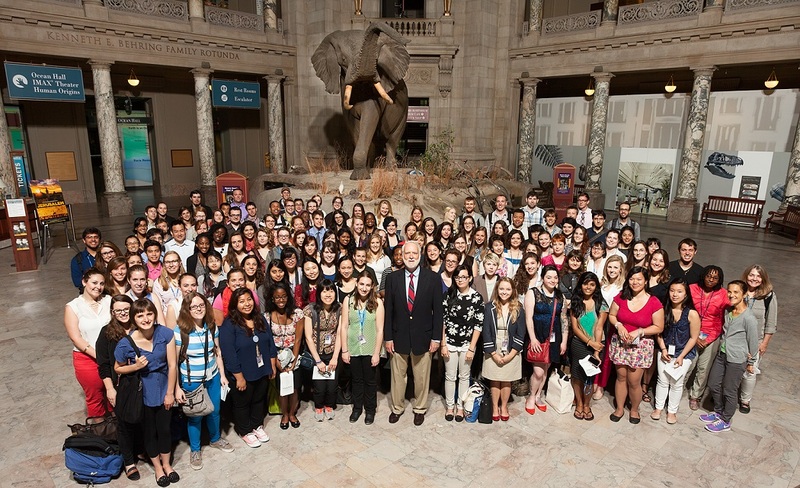 I am currently interning with the Smithsonian Institution (SI) Office of Fellowships and Internships (OFI). 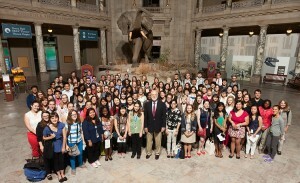 I found the internship through the SmithsonianOFI.com website which details all of the internship opportunities available at the Smithsonian. I found contacts at the Smithsonian and then applied through their online system to the general internship pool. Rather than interning with a specific museum the OFI internship is institution wide and deals with all 19 museums and the zoo. My responsibilities as an OFI intern include a mix of some standard office work related to professional practices, data base entry for example, and something’s which are more fun, such as writing blog posts and filming videos for the Smithsonian OFI webpage. As an intern I am also encouraged to attend any and all Smithsonian events, lectures, or shows. During my internship thus far I have learned how to use new computer programs, how funding for internships and fellowships is awarded, as well as more about how the Smithsonian works and what they do. This internship has been a really incredible experience thus far and I have really enjoyed everything I have been able to do, see, and learn.